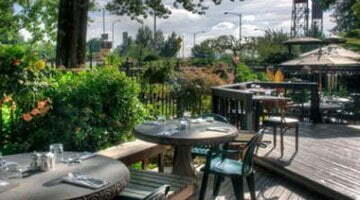 You are here: Home / Portland Food and Restaurant News and Discussion / Pastaworks Hawthorne: R.I.P. 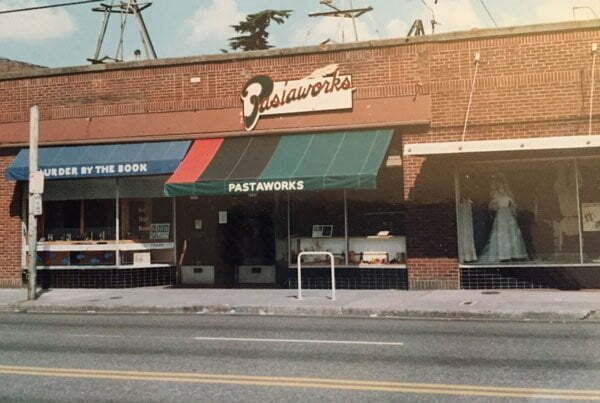 Today we say a bittersweet goodbye to Pastaworks’ home since 1983. We have over 11,000 days of memories on Hawthorne Boulevard, and we’re very, very grateful for our amazing customers, employees, neighbors, neighborhood, and to everyone who has supported this family-run market since August 19, 1983.
we will soon open the doors at 2340 NE Sandy Boulevard at our new marketplace, Providore Fine Foods. In the immortal words of Alexander Graham Bell, “As one door closes, another one opens,” and we are excited and committed to continuing the legacy that Peter de Garmo and Don Oman began in a tiny storefront on a warm summer day so many years ago. Please join us at Pastaworks today until 7p, and share your memories of this special place. Here’s to good food — past, present and future. Mangia bene!